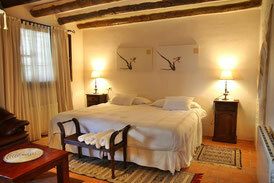 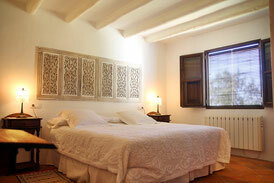 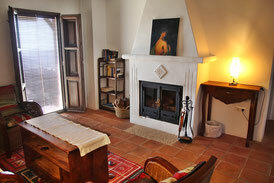 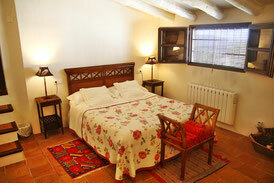 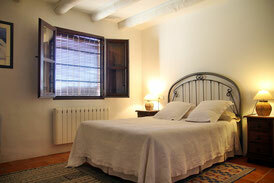 The complex has in total five double rooms, one junior suite for 3 people and one suite room for 4 people. 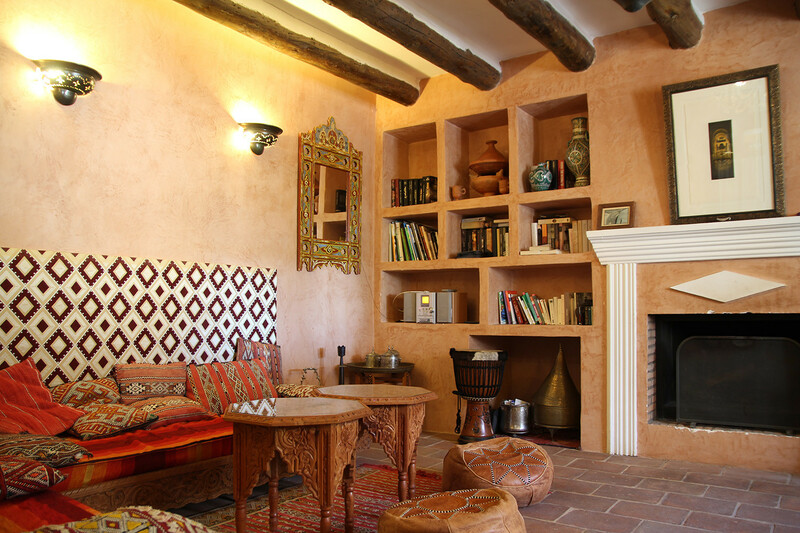 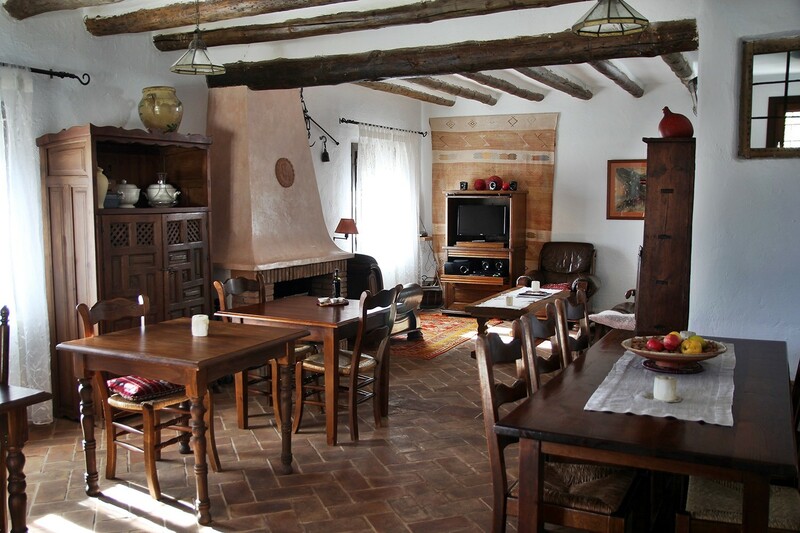 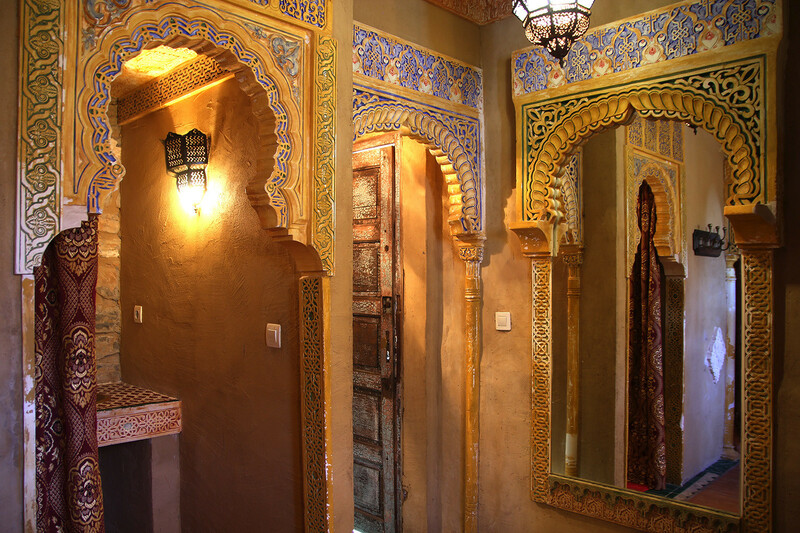 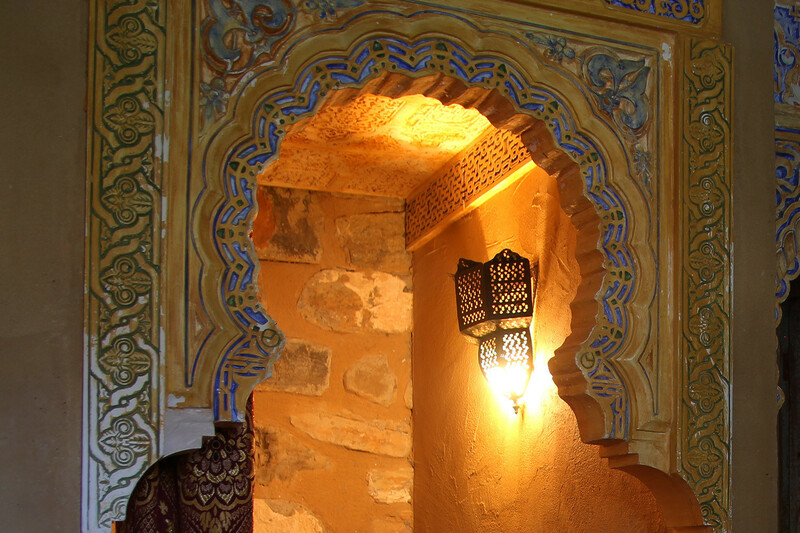 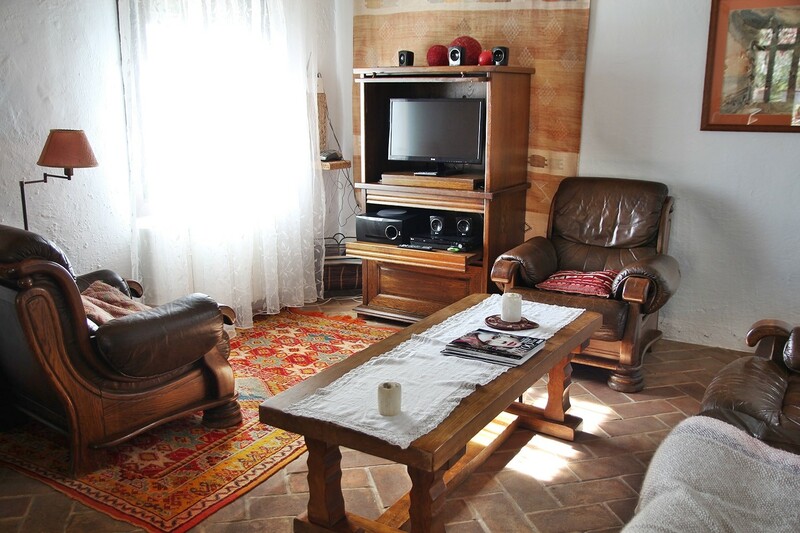 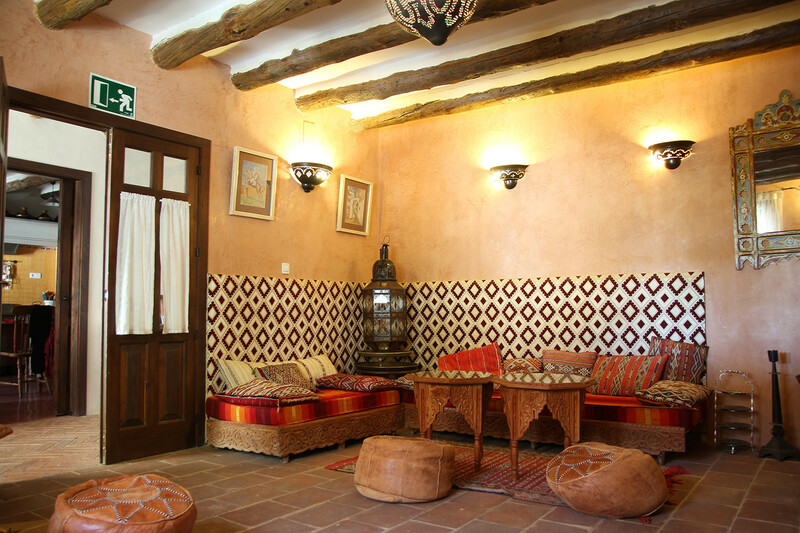 There is a large dining room with TV and eastern lounge where you can enjoy a typical Moroccan tea, both the rooms with fireplaces which give you a warm welcome in winter. 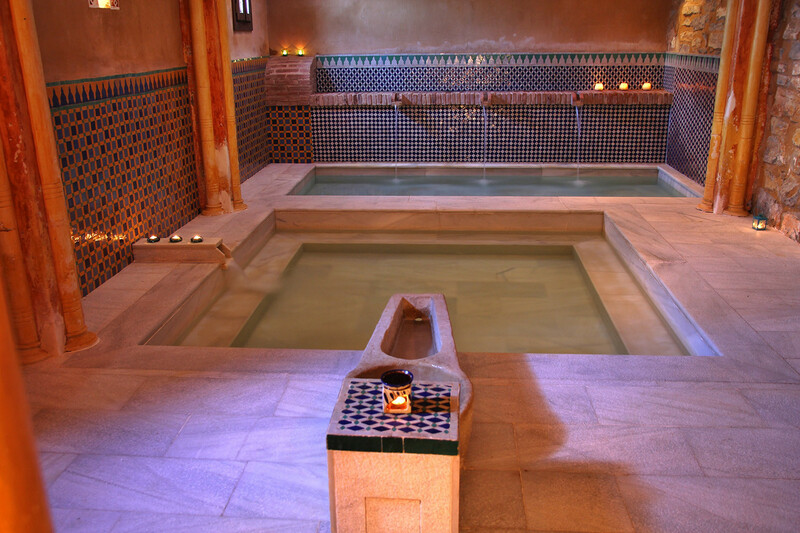 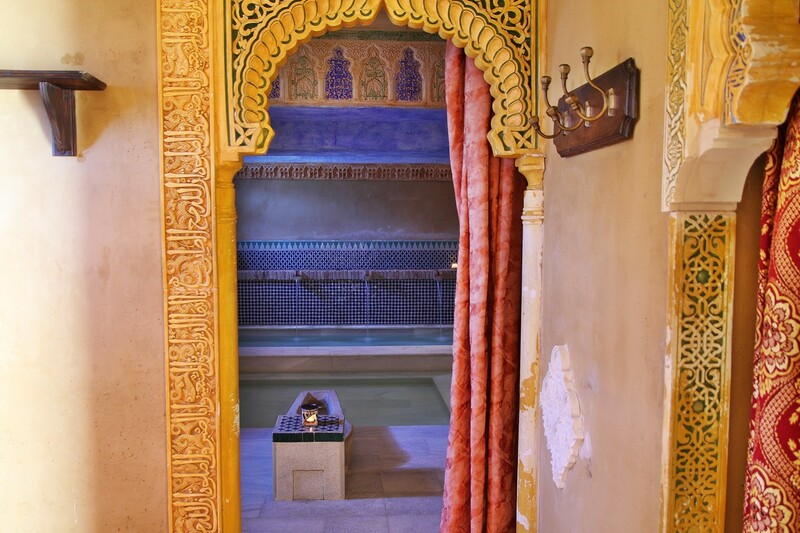 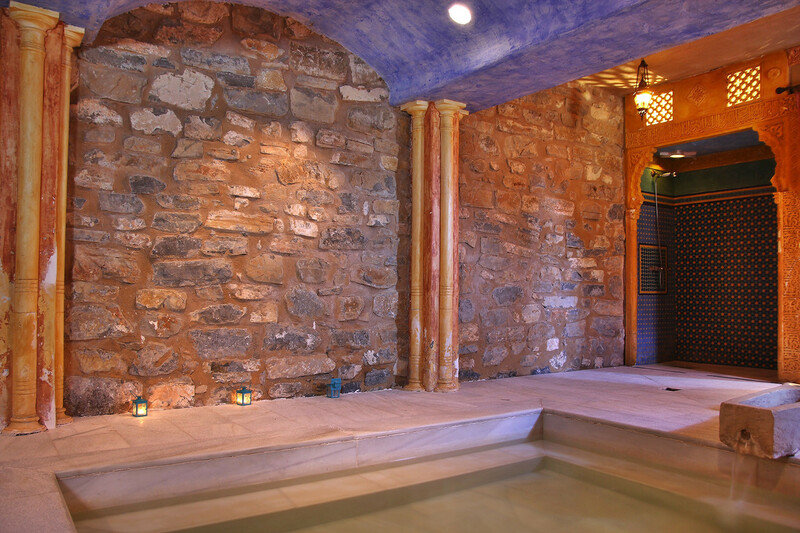 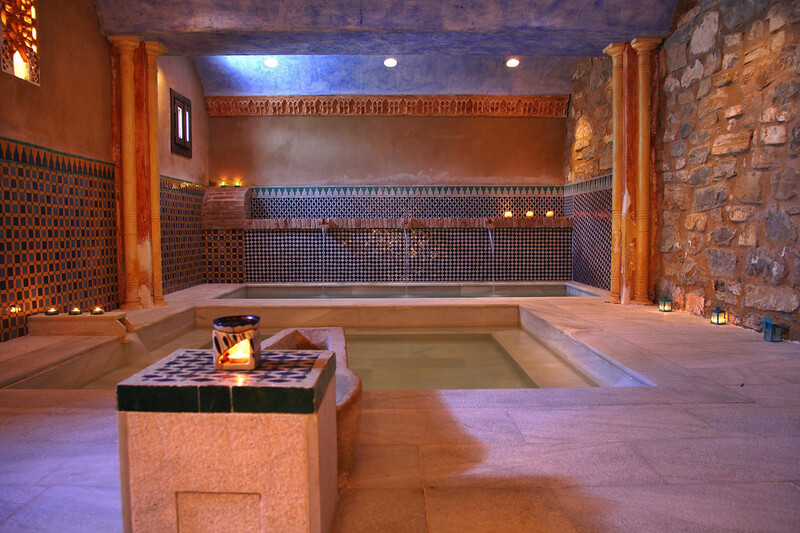 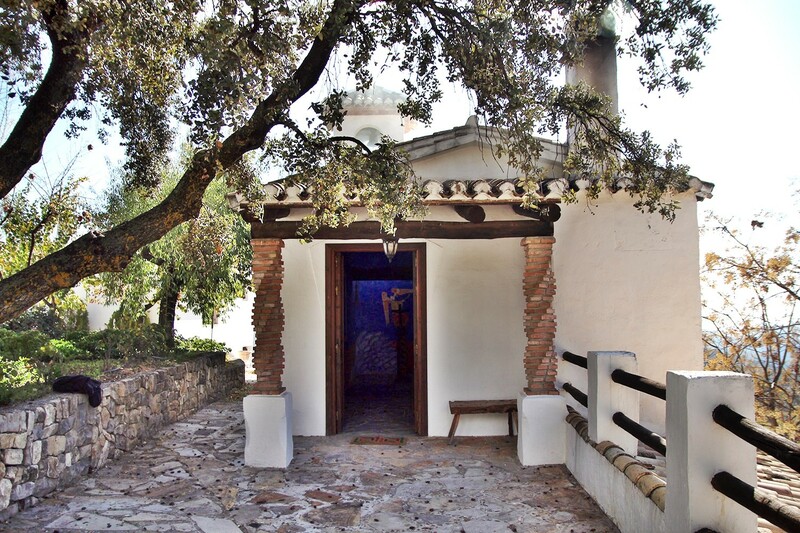 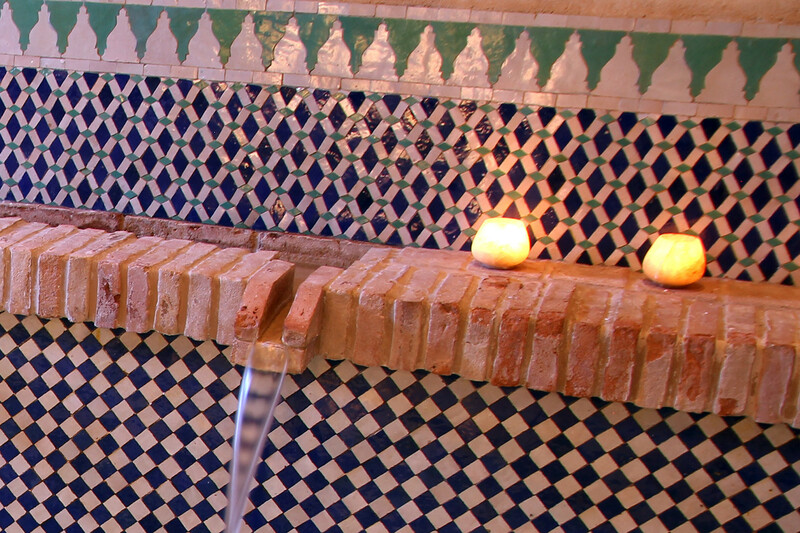 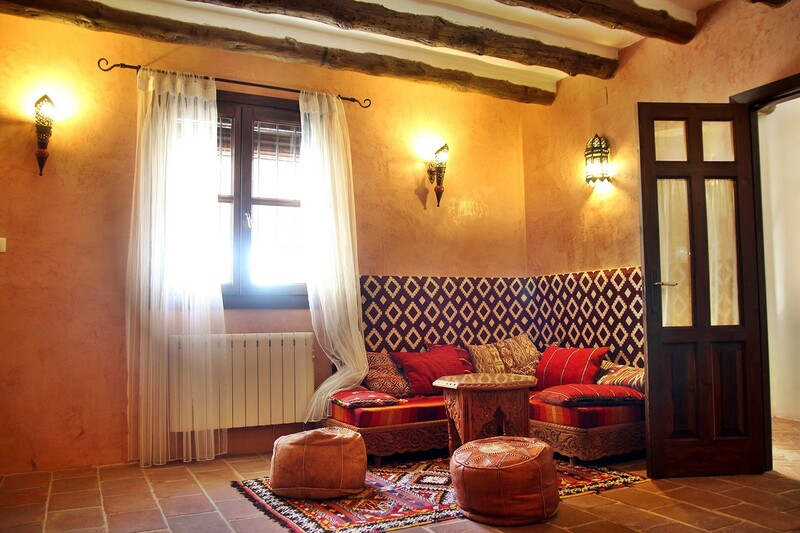 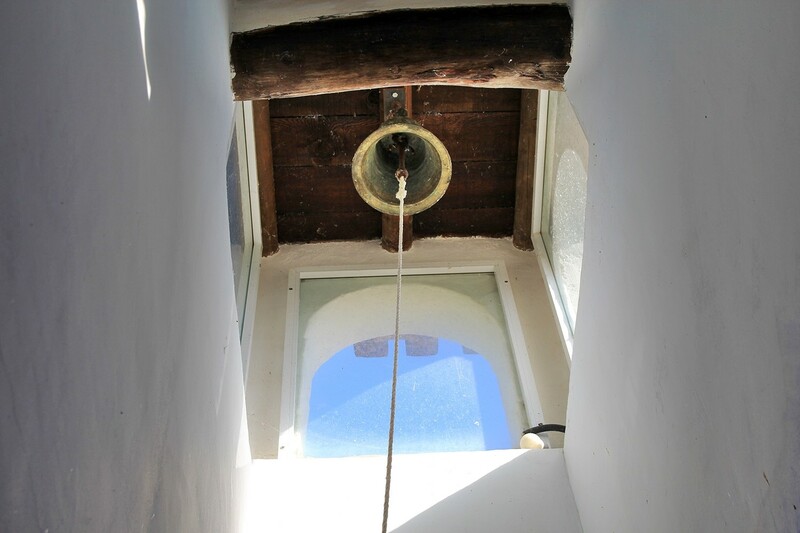 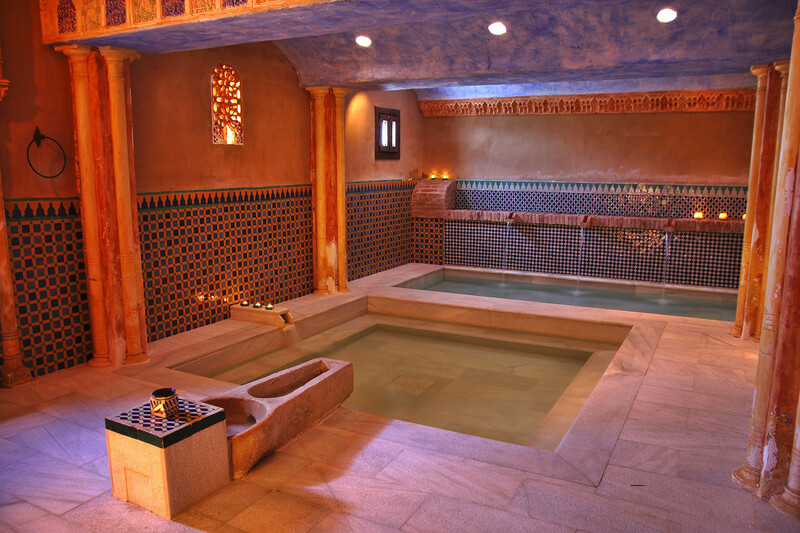 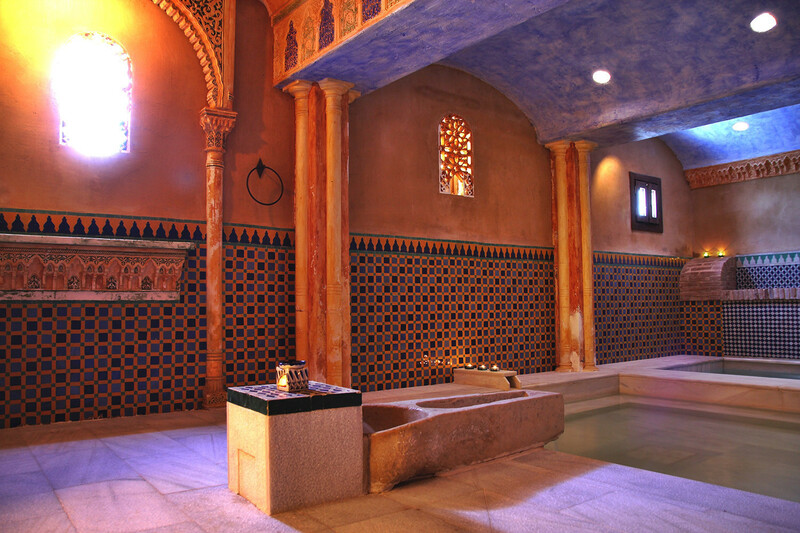 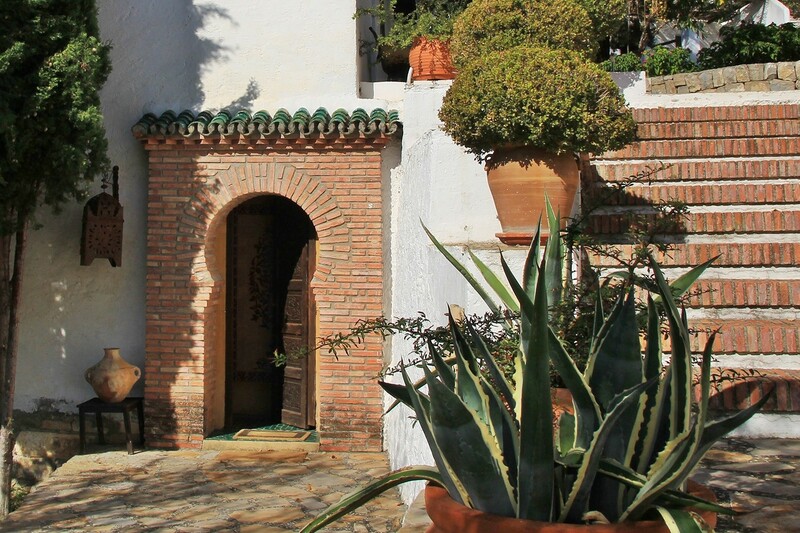 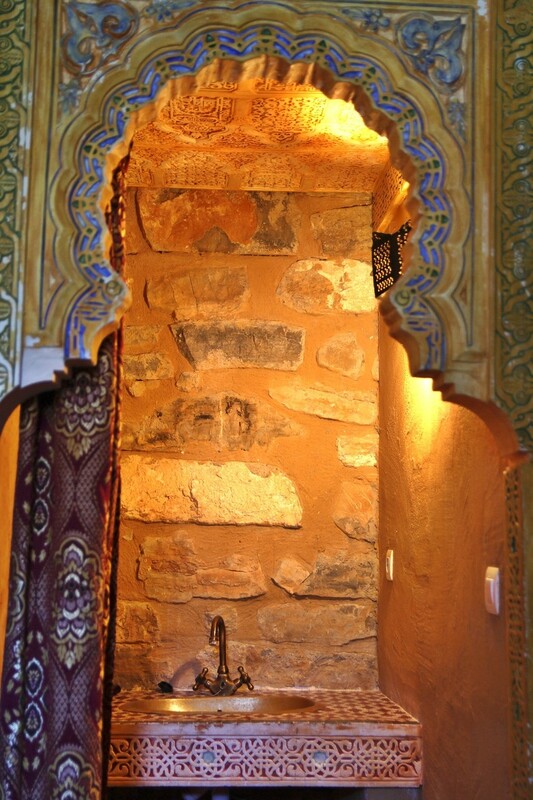 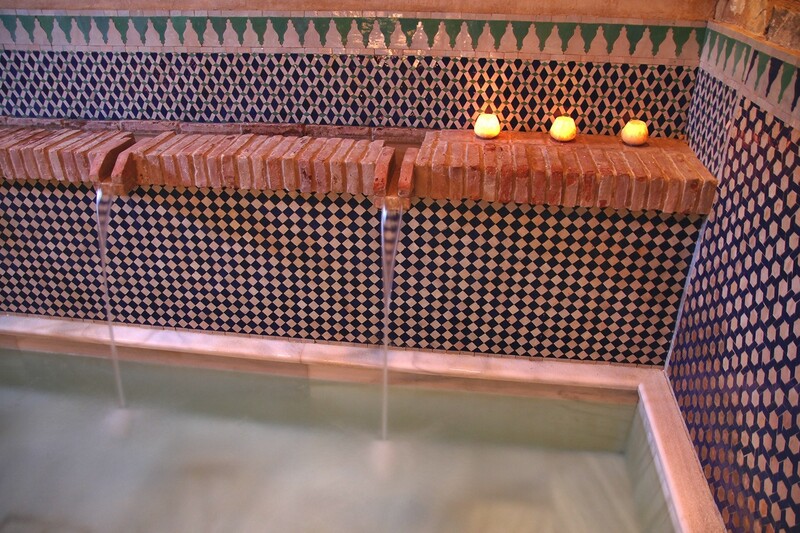 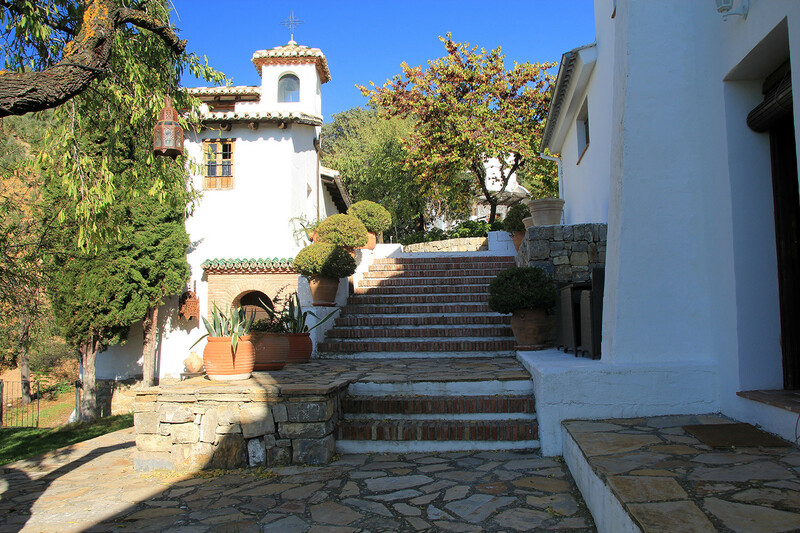 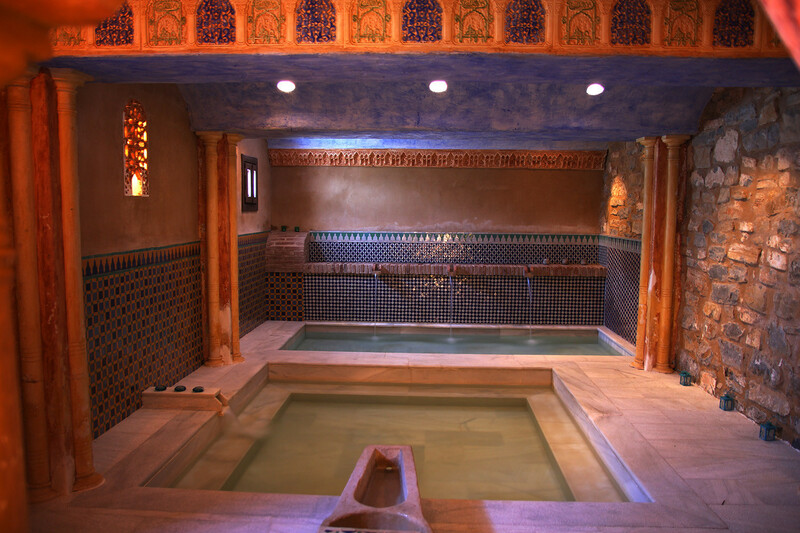 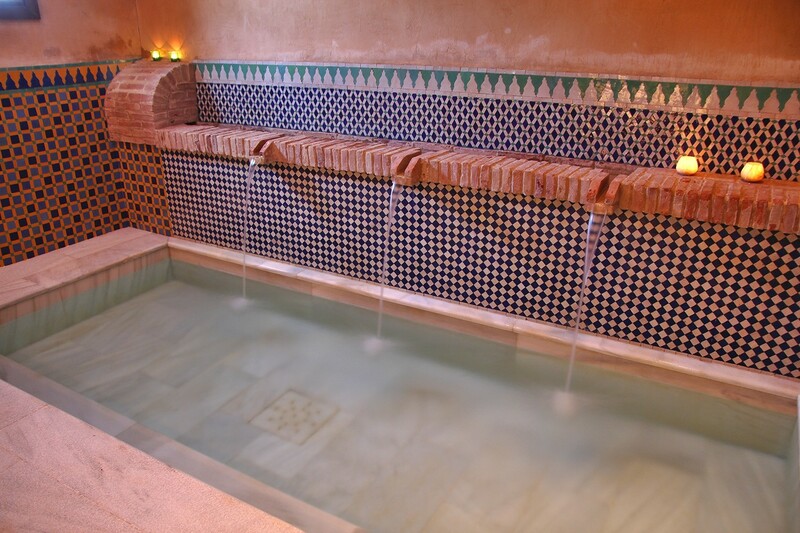 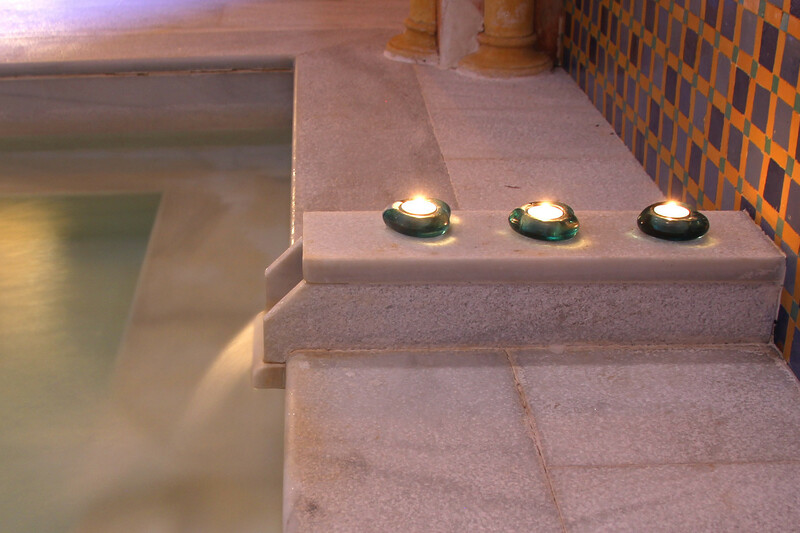 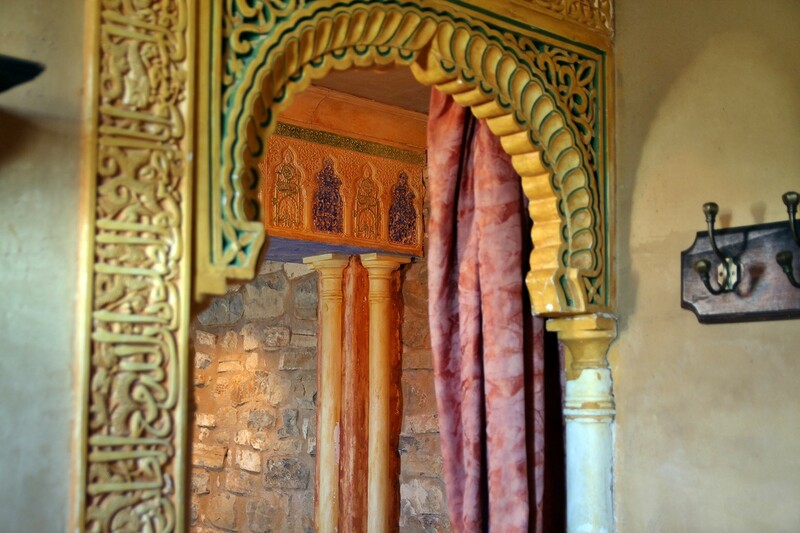 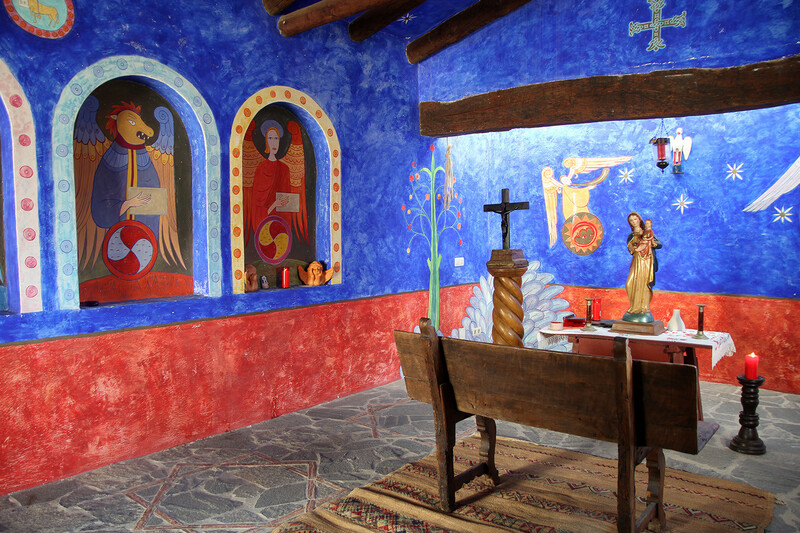 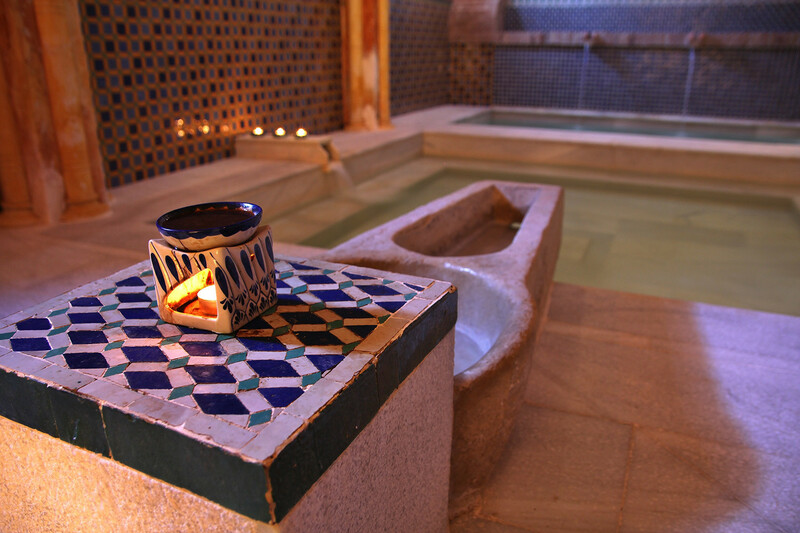 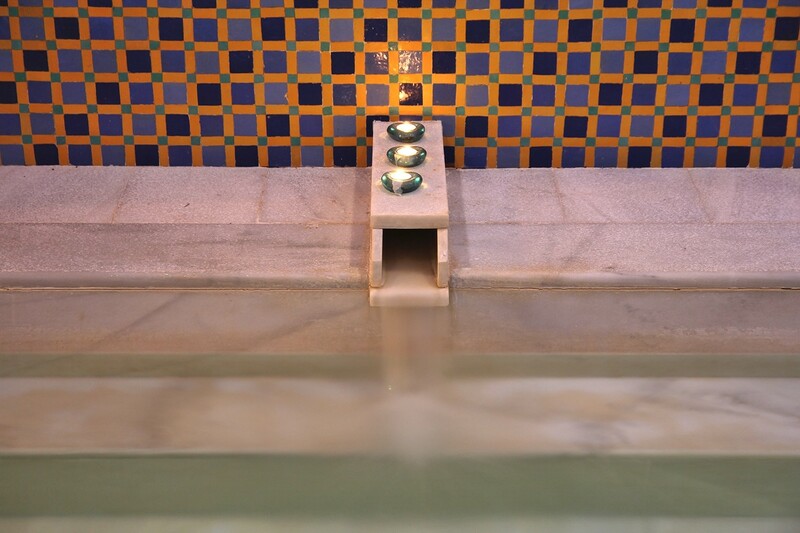 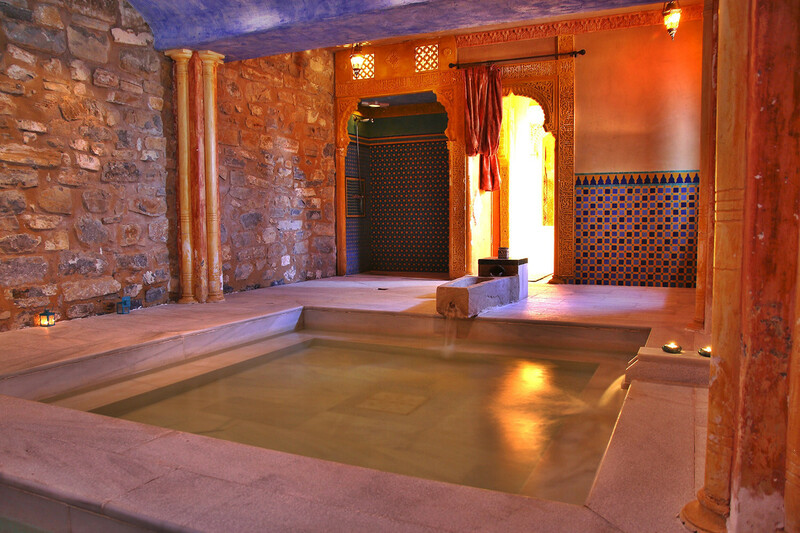 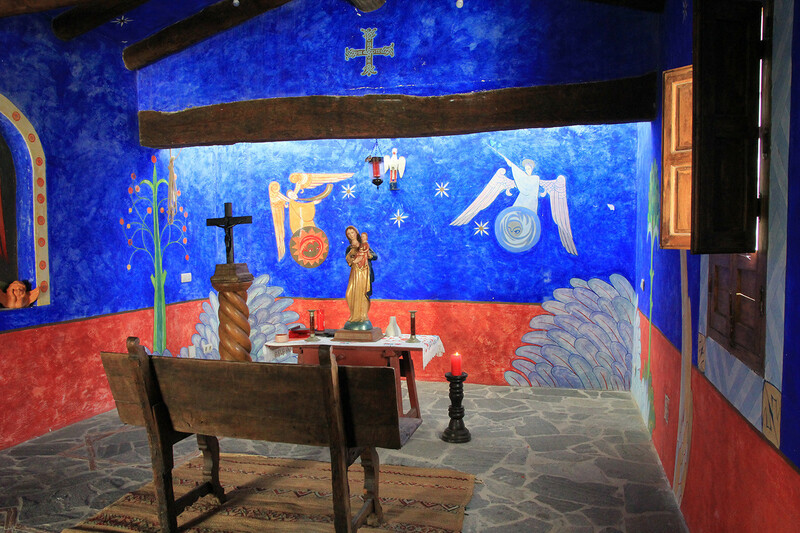 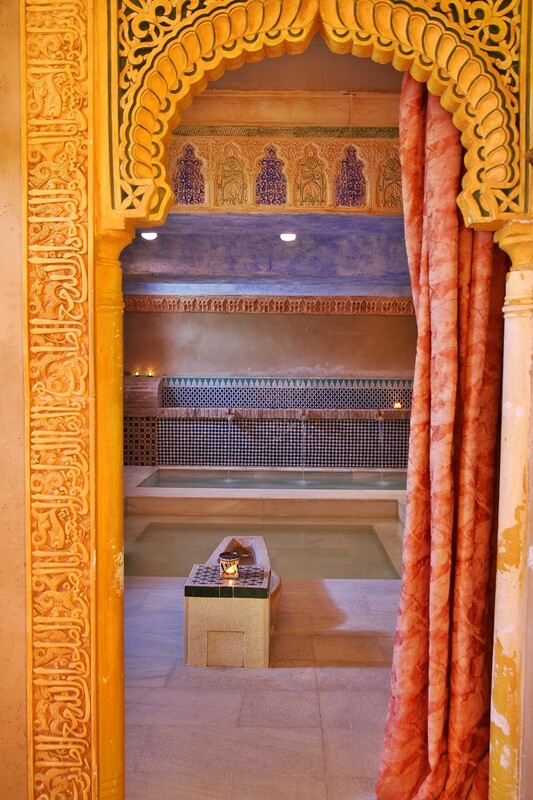 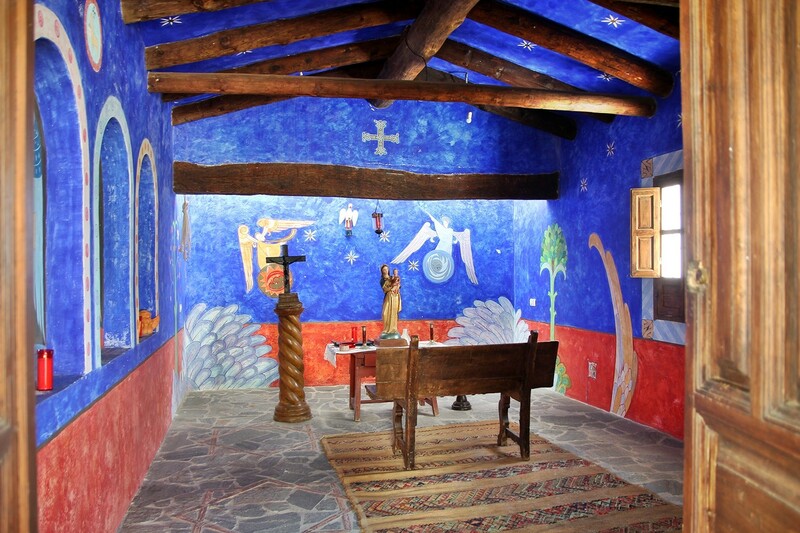 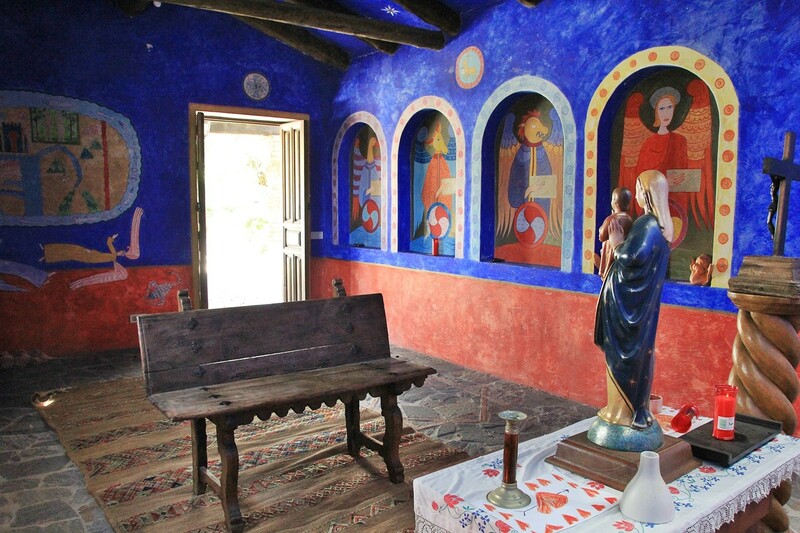 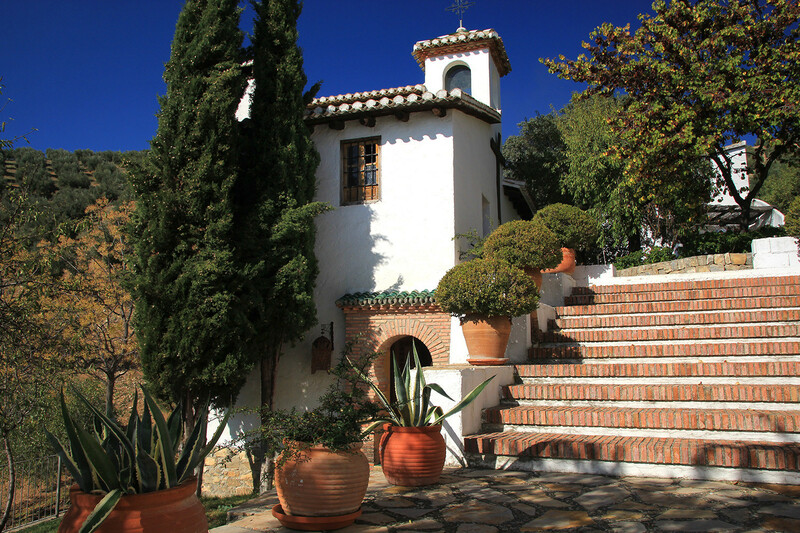 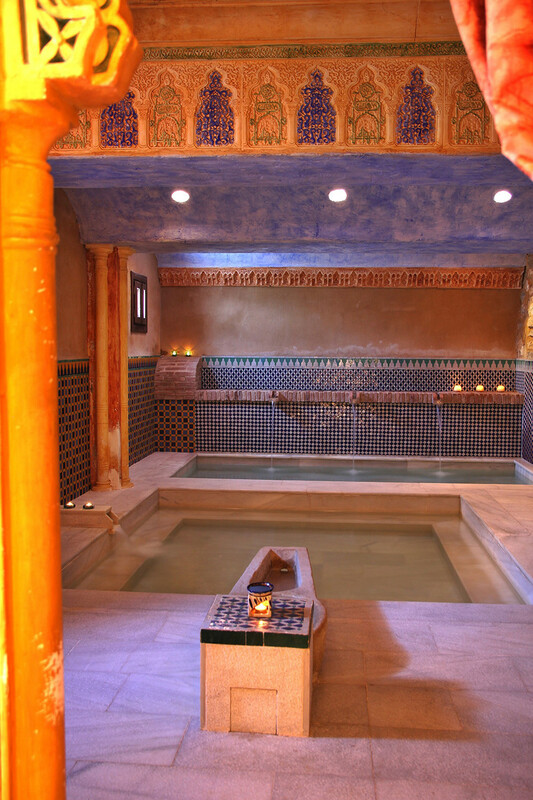 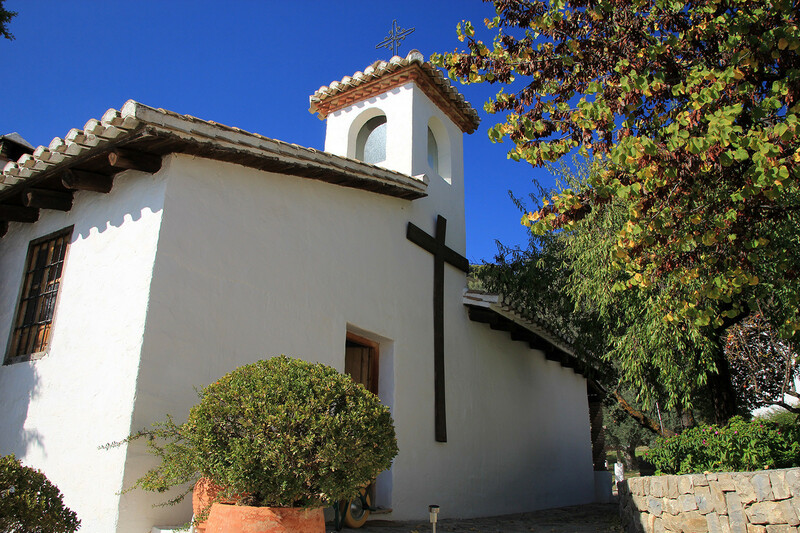 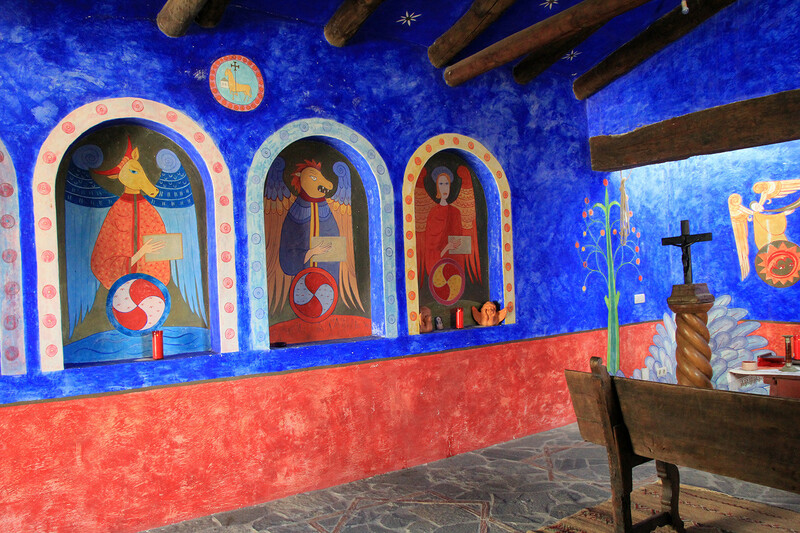 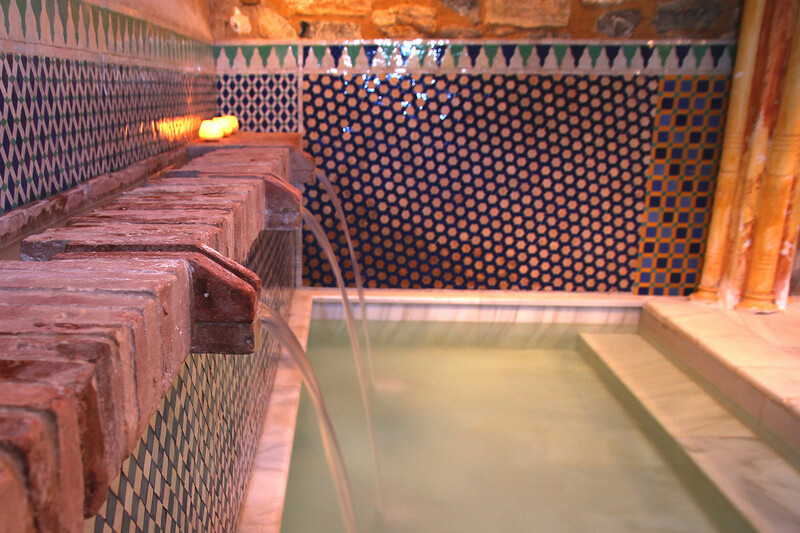 You can also enjoy many unusual places on the farmhouse like the Arab baths, a chapel, a multi-purpose lounge that can be used for meetings, cultural activities, relaxation or meditation. 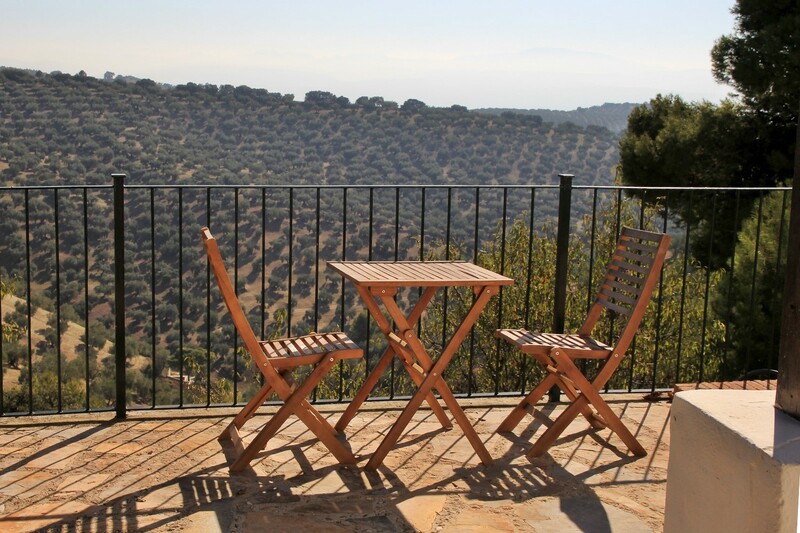 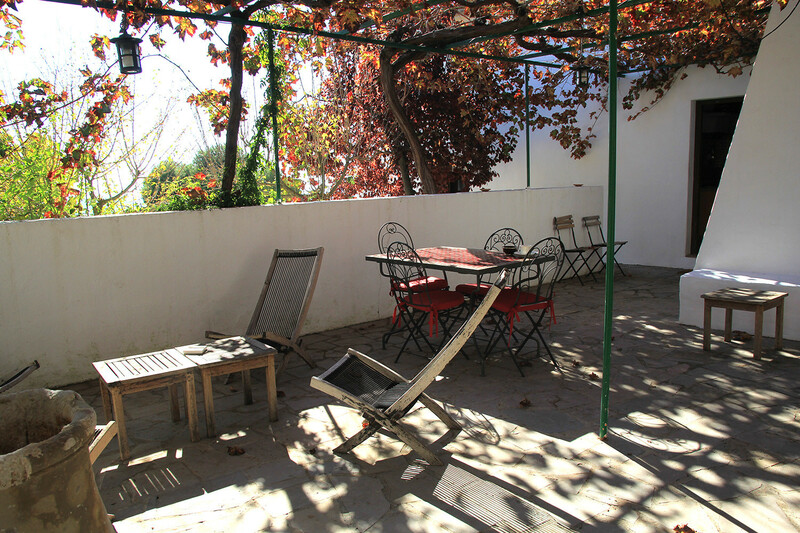 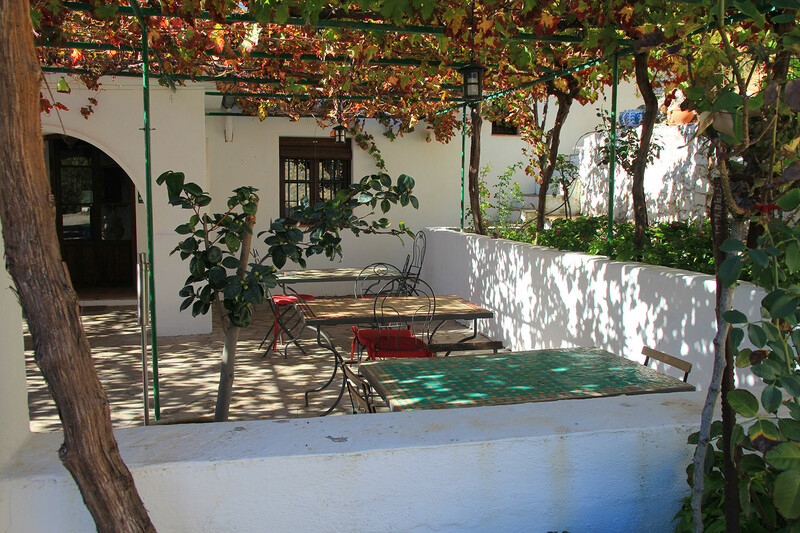 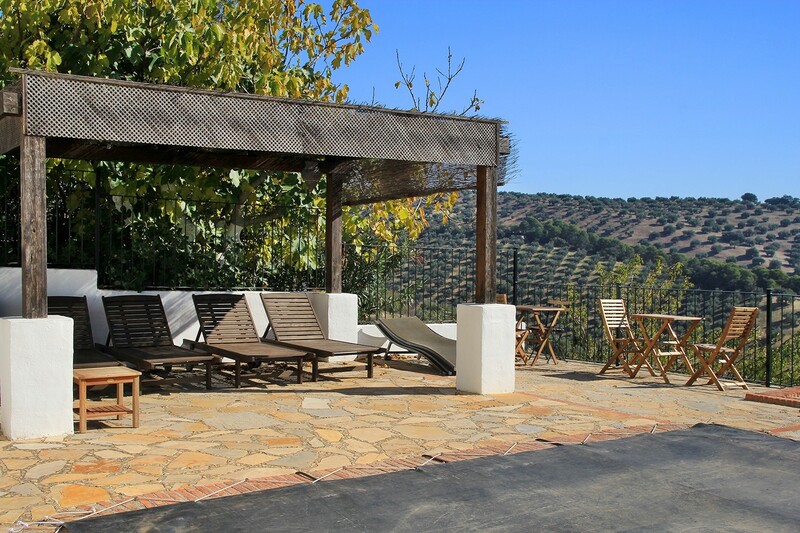 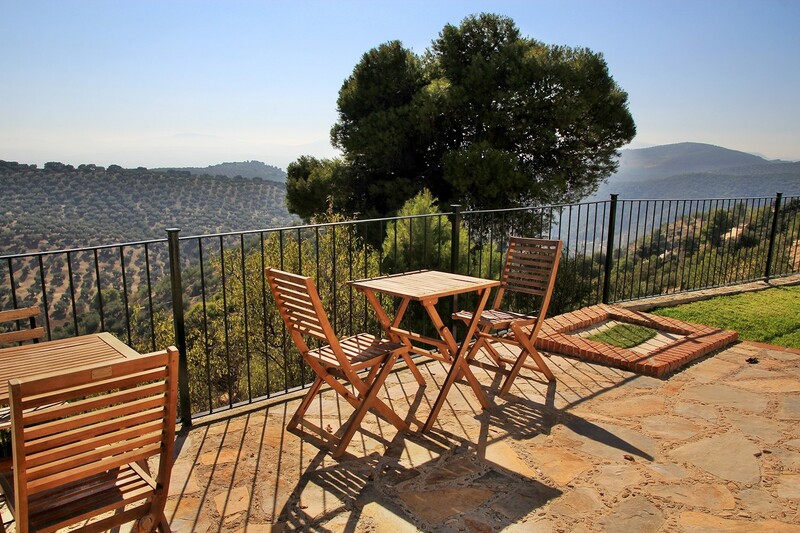 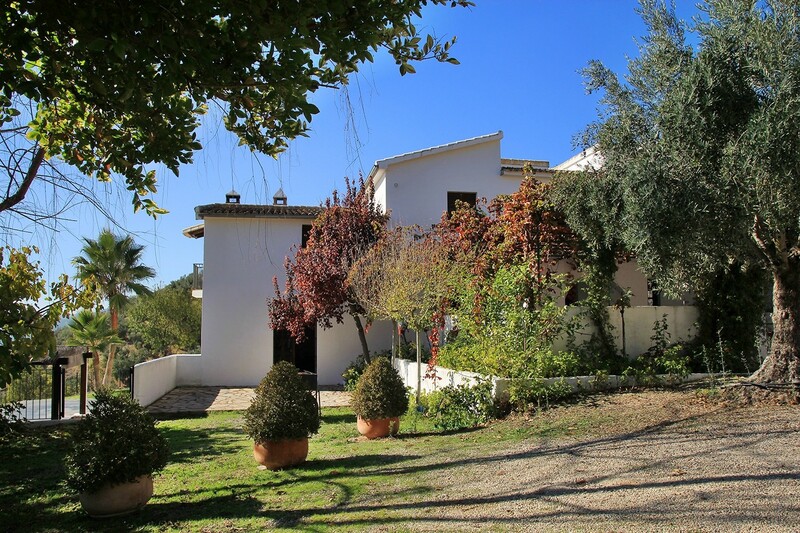 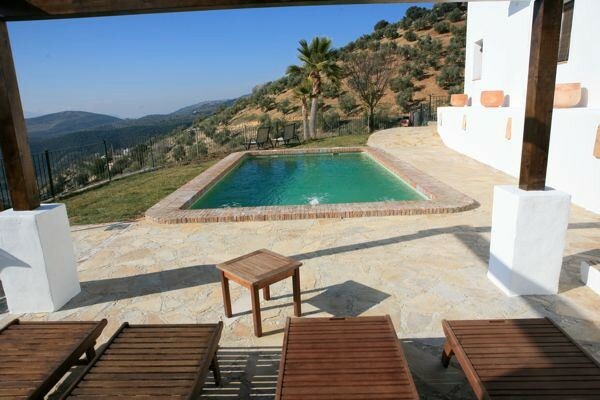 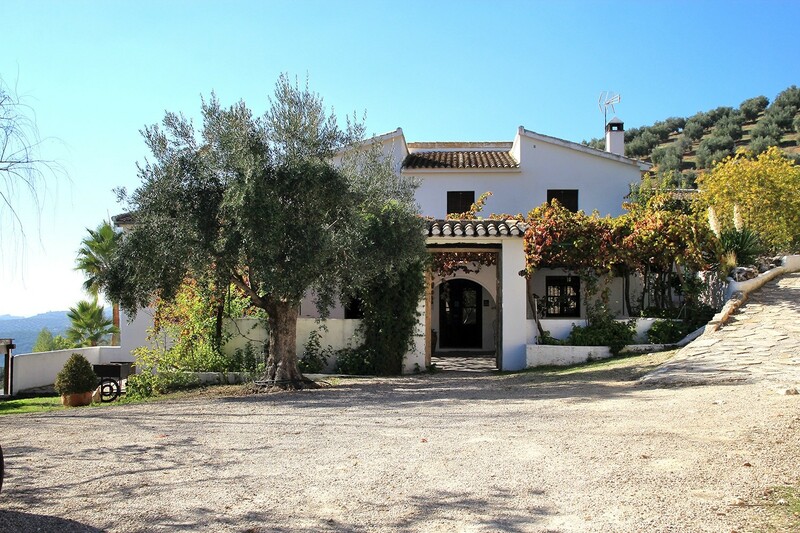 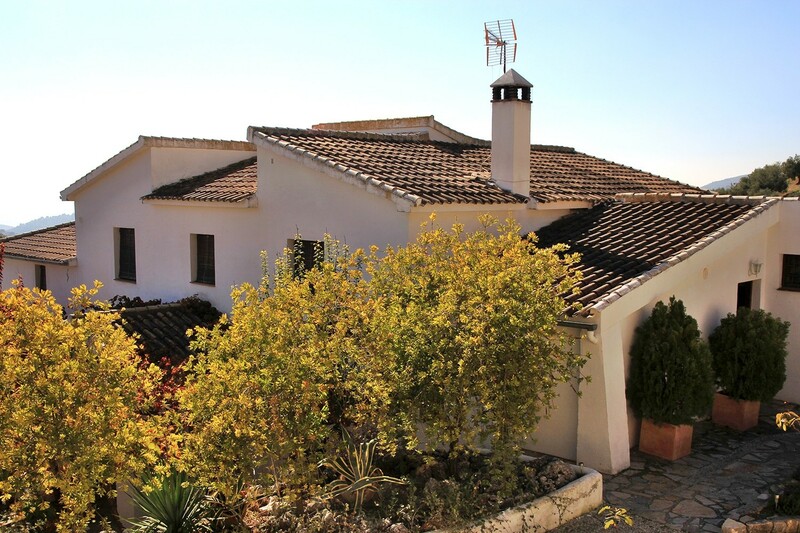 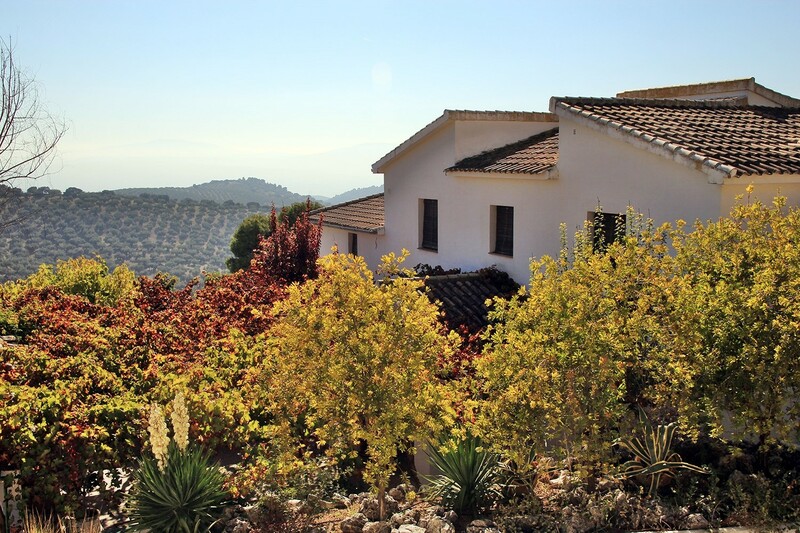 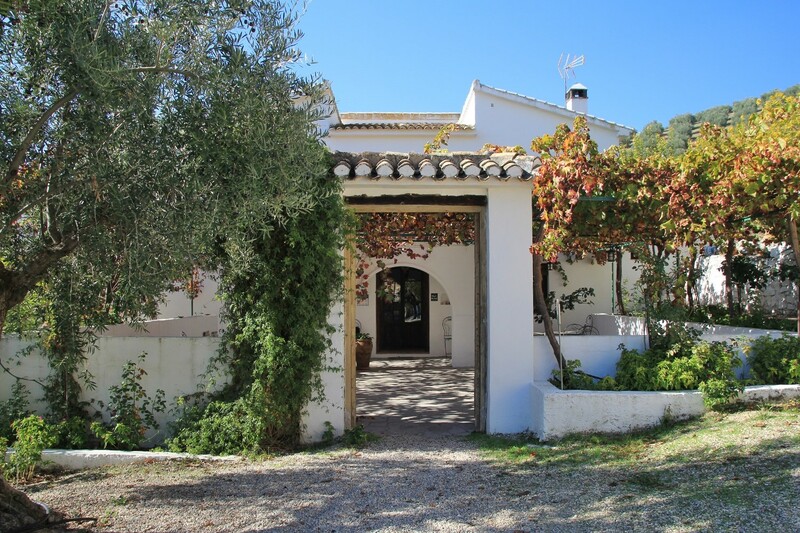 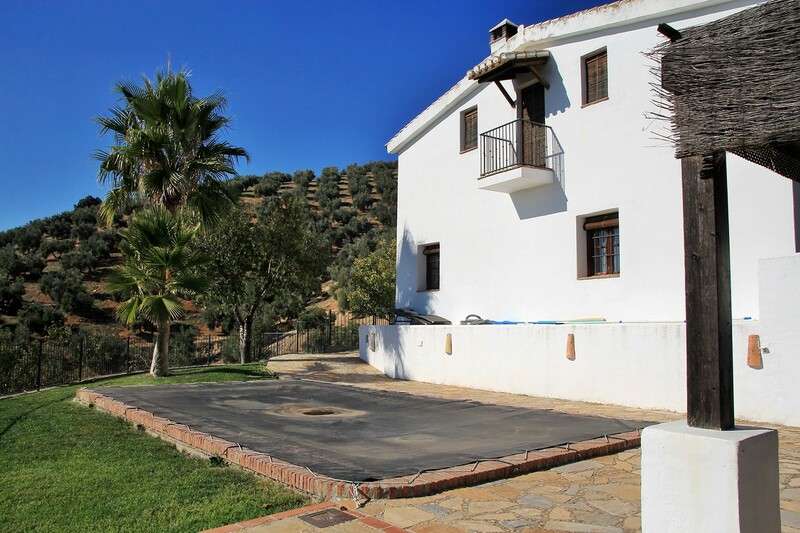 In the garden is a swimming pool and a solarium with stunning views on the countryside. 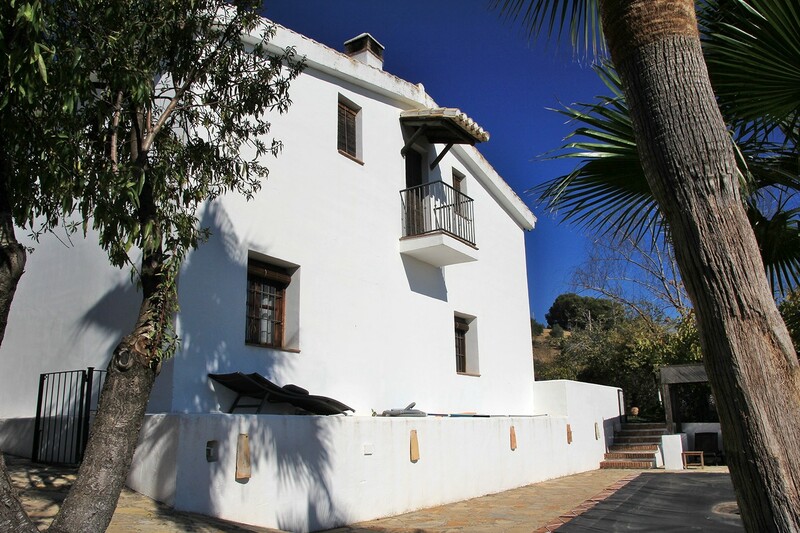 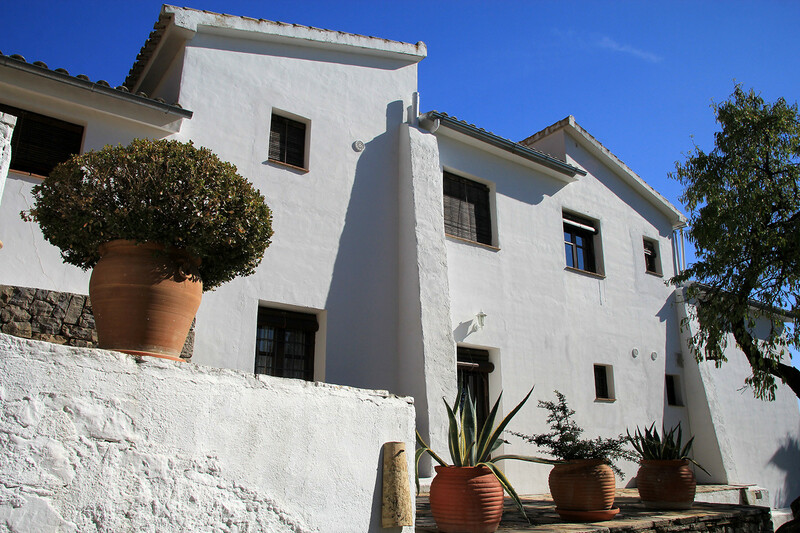 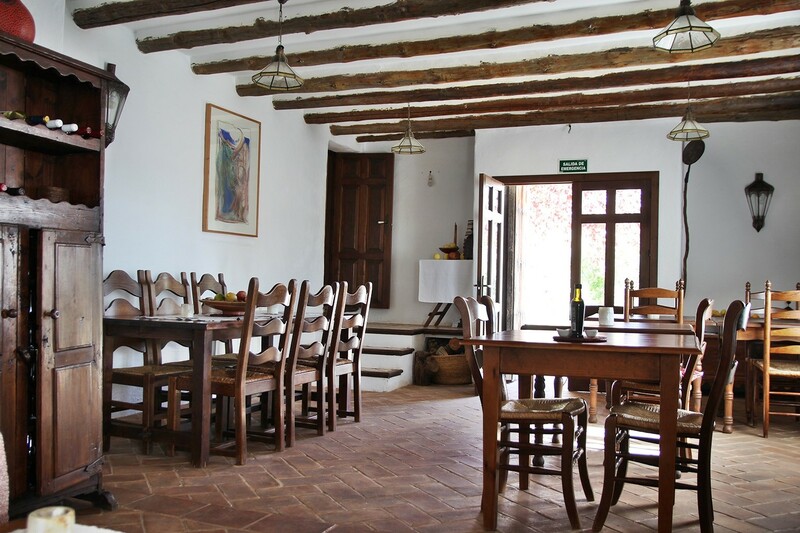 The farmhouse is connected by a dirtroad (2km) to the main road Montefrio - Tocon. 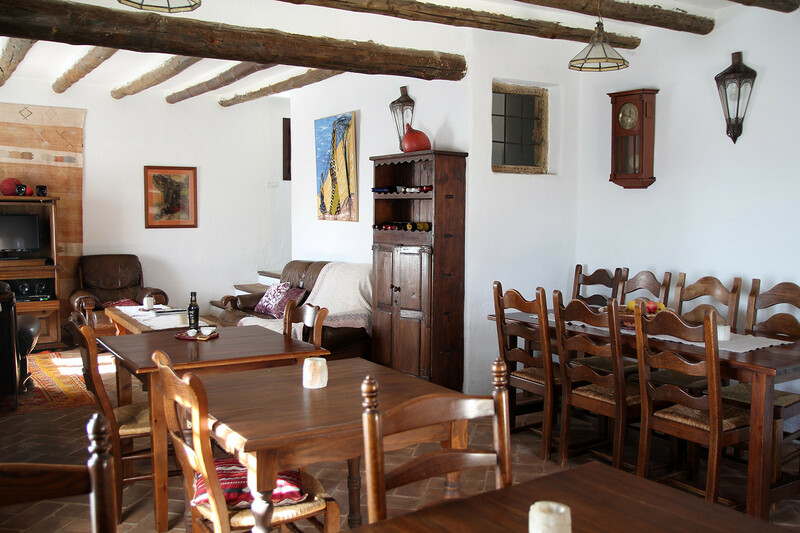 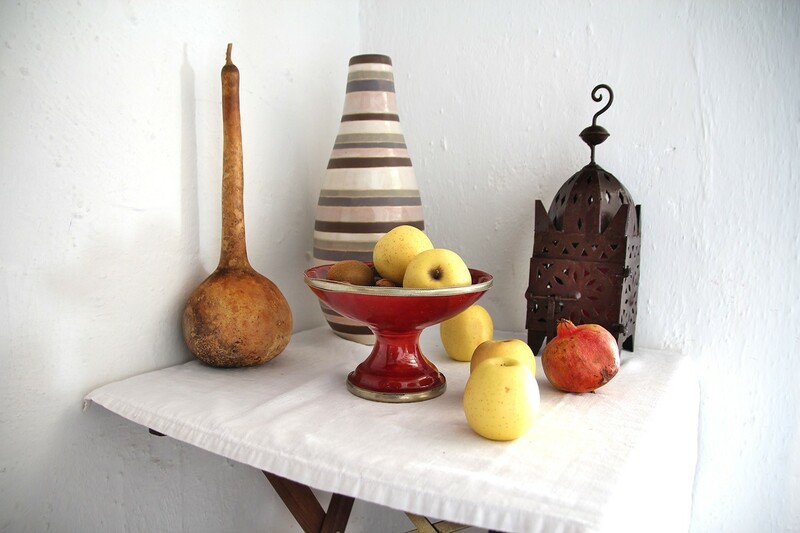 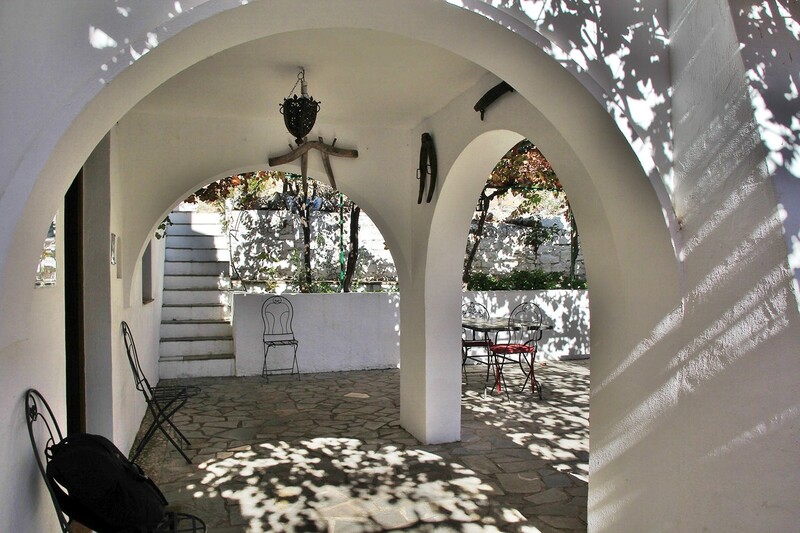 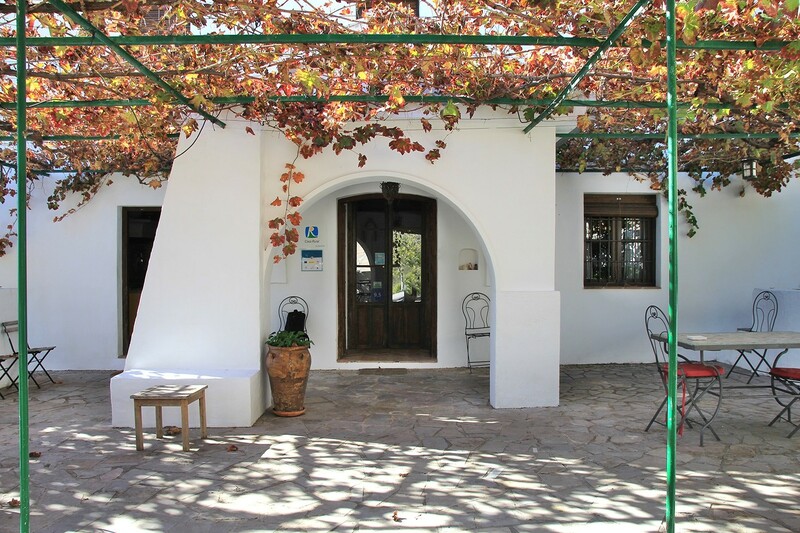 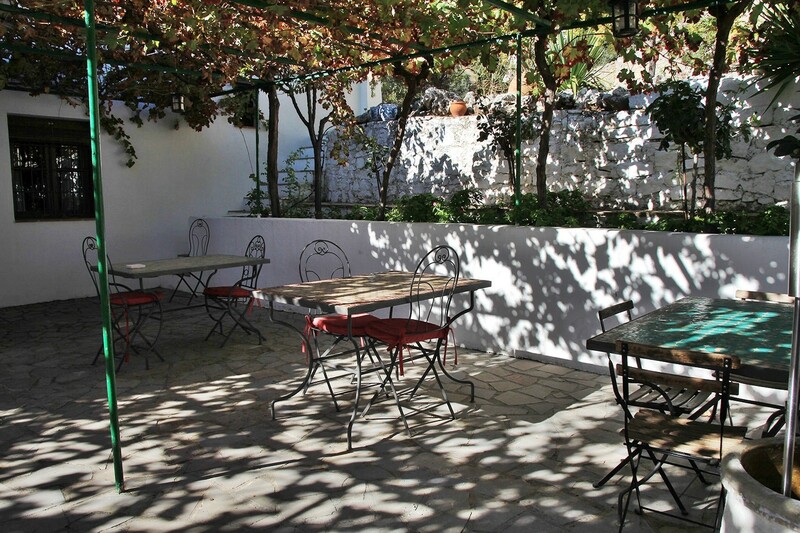 There is also a kitchen garden with all kinds of garden products, aromatics and medicinal plants ecologically cultivated and fully furnished kitchen.